We pride ourselves on being able to deliver bespoke, fit for purpose solutions to difficult problems at the core of your business. We have proven experience in the integration and extension of core business and operational systems to leverage the most effective use of your data in real time. Our team believes that communications are the force multiplier of any organisation, from mission critical voice to M2M telemetry, we can keep you connected. Our team is made up of experience and expertise from across the technology, telecommunications and emergency management fields. The Skerric team prides ourselves on our ability to deliver customised and bespoke solutions where other organisations fear to tread. We have proven experience delivering targeted, fit for purpose and agile technology and software solutions to support mission critical operational decision making and response. We work closely with our clients to understand their core needs and develop responsive solutions to fit. However, we are uniquely placed to leverage on our skills and experience in the emergency management sector to innovate and recommend solutions that cut through the noise which make us the goto team for clients that know that seconds count. From your mission critical IT systems to your business continuity strategy and from your emergency management processes to developing a culture of innovation, the Skerric team brings together skills and experience from across the emergency management, energy, information technology and telecommunications industries. Our team combines the experience of front line operations with the strategic insight required to transform organisational process from the roadside to the board room. No matter what the requirement our team are uniquely placed to provide analysis, insight and identify solutions that deliver on your key priorities. Having identified a key opportunity to provide real time operational informational tools for front line managers, key decision makers, strategic planners and, most importantly, for those on the front line, members of the Skerric team proposed, developed, piloted, implemented and expanded the CADLink suite of tools. 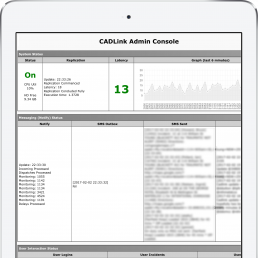 CADLink comprises web based views of operational information, automated notification tools, a real time SMS interrogation engine, operational and performance dashboards and a first of its kind in the industry ‘follow me’ real time all aware operational messaging tool. The Skerric team can bring this same expertise and experience to your operations. 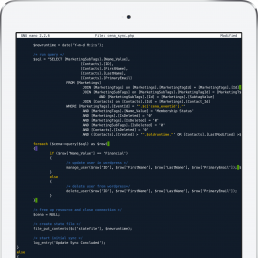 The Skerric team relish tricky, bespoke integration challenges. A key customer came to us with such a problem. Link a custom membership management database (with no APIs) to WordPress to allow for members only content and discounts in a Woocommerce store. Other organisations had said it couldn’t be done, however the Skerric team didn’t accept that and we managed to work through the nuances of a foreign and undocumented database and build a custom syncing engine that adds, updates and manages users in WordPress. The Skerric team is here for those tricky solutions. Skerric is a Sydney based information technology, telecommunications and consultancy business specialising in the emergency management and energy sectors. Our team brings more than fifteen years of experience delivering innovative solutions to challenging operational problems.